Although Reid paying $16,000 in campaign funds to his granddaughter for “gifts” is small potatoes for him and Progressive Dems in general, it once again brings his former list of transgressions to the forefront. When you look at Obama, the Clintons, Pelosi, Feinstein and Reid… you really have to ask yourself… what is up with the Democrat Party and how can so many people really believe that they are looking out for anyone but themselves?!? There’s the way things LOOK…and the way things really ARE. Either way, Harry Reid’s family of sons making their careers as lobbyists reeks of political opportunism. Didn’t a single one want to be a Fireman? A Doctor? A decade ago, the Los Angeles Times was the first to investigate Senator Harry Reid noting that THREE of Reid’s FOUR sons at the time were LOBBYISTS. Each Reid boy worked for Nevada’s largest law firm, Lionel, Sawyer & Collins. All of them have benefited from Reid’s position. “Harry Reid is in a class by himself. One of his sons and his son-in-law lobby in Washington for companies, trade groups and municipalities seeking Reid’s help in the Senate. A second son has lobbied in Nevada for some of those same interests, and a third has represented a couple of them as a litigator. How often do ALL the sons of a Senator work for the same law firm? In Nevada…they have. 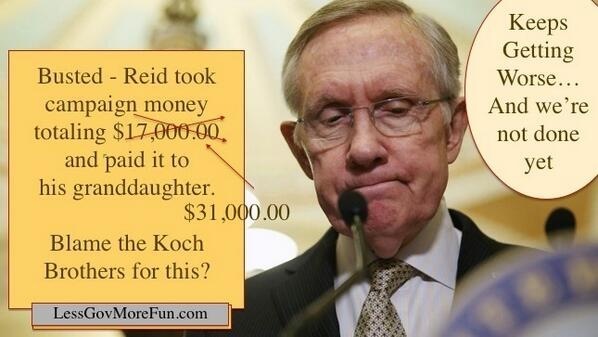 “Reid is pushing for a Chinese company he played a key role in recruiting to Nevada, ENN Mojave Energy LLC. The company plans a billion-dollar solar energy manufacturing and generating plant near Laughlin, but an ambitious development schedule is being threatened by a lack of green power customers. Harry Reid’s son, Josh. City Attorney of Henderson, Nevada…thanks to Dad. “According to the Las Vegas Sun, in January 2012, Reid’s son, Josh received a $200,000 a year job as City Attorney, because his father made some “calls.” The other candidate for city attorney, was the interim CITY ATTORNEY! “In a controversial vote that one resident at the meeting called “disgusting” and “nepotism,” the Henderson City Council unanimously appointed Josh M. Reid, U.S. Senate Majority Leader Harry Reid’s son, to be the next city attorney. Josh Reid, chosen by a 4-0 vote, will be paid a salary of up to $199,000 a year, not including benefits. Council members also said they will add a one-year probation period for the position. Members of the council cited Josh Reid’s experience in the private sector and a desire to bring in someone from outside of the city attorney’s office as reasons he stood out among the other candidates. Reid and interim City Attorney Christine Guerci-Nyhus were the finalists for the job. Neither was at the meeting. Developing the “family business.” POLITICAL INFLUENCE. The outcome says it all…Josh Reid is now the City Attorney for the metropolis of Henderson, Nevada. Remember ole Harry Reid is grandstanding about Mitt Romney’s ancient tax returns? Wow, looking back, that really took a lot of nerve! But when the leadership of any party, corporation, group or family runs this deep, it always trickles down and continues on and on! And so it has with the Democrat Party as well as with Harry and his family. The Mayor of Charlotte, N.C. Democrat Patrick Cannon submitted his resignation after he was arrested by the FBI for allegedly accepting $48,000 in bribes in exchange for the use of his official position. In Rhode Island, Democrat Gordon Fox, Speaker of the House, resigned after the FBI and agents from the IRS, the U.S. attorney’s office and the state police raided both his home and his office. CRIMINAL CHARGES AGAINST CA SENATOR SUGGEST HYPOCRISY OF ANTI-GUNNERS BELLEVUE, WA – Criminal charges announced in San Francisco federal court Wednesday afternoon against anti-gun California State Sen. Leland Yee and several others shows the contemptible nature of the gun prohibition movement, because among the allegations is one that he was involved in a conspiracy to traffic firearms, the Citizens Committee for the Right to Keep and Bear Arms said today. The gun trafficking scheme allegedly involved activities in the Philippines, with the cash to be broken up into “legitimate campaign donations,” according to the court documents. Now, many Democrats who supported, praised and voted for the so-called Affordable Care Act, commonly called ObamaCare, which resulted in millions of Americans receiving cancellation notices from their health care insurers, many of whom were facing life-threatening illnesses, have now become worried that their actions may jeopardize their chances for reelection in November. The sad, sorry fact of the matter is that all of the above have taken place within just the last two weeks. If we look a little further back we will note that the Great Leader himself, Democrat Barack Hussein Obama, along with his Democrat Attorney General Eric Holder have both announced that they will only enforce the laws they believe in. And Eric Holder has relayed that message down the ladder to the attorneys general in each of the 50 states. Thanks to the Democrat Party we are now living in a lawless land. Truly, the editors of Roget’s Thesaurus must add the name Democrat to the list of synonyms for the word hypocrite. It is time for Harry Reid to resign, to be recalled or at minimum for him to retire or not be re-elected. But Harry Reid’s actions are just a symptom of Beltway and Progressive Democrat politics in general. It is time to vote out the corruptocrats and Progressives from both parties as well as halting the revolving door of Bushs and Clintons and the like. 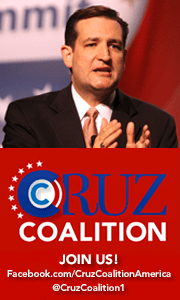 Time to elect some patriots who can relate to average Americans and who will fight for them and America! Get-involved! This entry was posted in Changing Winds, Knowledge Is Power, Lies, low-informed voters, manipulation of the public, Politics, Progressivism, Wake Up, Watch the Other Hand. Bookmark the permalink. Like a few senators in Canada make him pay the money back!